"Dane was professional and friendly in helping me replace my flooring. He was patient and advised me to do what was best for me and my home. He went out of his way to make sure I was satisfied. I would recommend Dane and Eckard Flooring to anyone looking for a trustworthy contractor." Hardwood flooring basically comes in two types – solid and engineered hardwood. Solid hardwood is milled from logs from varied hardwood tree species. Engineered hardwood flooring is made from plywood layers with portions of composite hardwood brought together. Generally, engineered wood flooring is not as thick as the solid wood. Unless you know what to look for, it is not easy to notice the difference between the two. However, engineered wood is more stable and often a better choice for moist areas like bathrooms and kitchen floors. Different tree species have varying levels of hardness and durability. Nobody wants to choose a wood species that is less durable. Some tree species are quite popular for wood flooring, but are more likely to show wear and tear. Good examples of this include the Red Oak and Hickory. Some exotic tree species are well known for their natural durability and hardness as wood floors – Brazilian Koa, Cherry and Cumaru. You can easily make a matching selection of hardwood floor for your room décor. For a colonial home, we recommend that you install oak due to its plank width. For more traditional ambience, dull-colored parquet hardwood flooring is often a perfect choice. Well-defined wood grains are a good fit for a countryside-styled interior. Are you thrilled by modern masterpieces? If yes, your finishing might include stains of pewter or dark charcoal. White washed hardwood floors can create an ideal foundation as well. Did you know that the wood floor finishing determines the real overall appearance of your room? We recommend pre-finished flooring as the finishing is done in a controlled setting. In addition, most factories apply seven coatings to ensure that the wood flooring will last longer. Pre-finished hardwood flooring is more costly than unfinished, but is better at keeping out moisture and dirt. This means that it is likely to last longer. 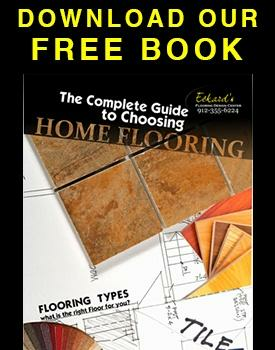 Wood flooring generally ranges from $2-$12 per square foot. Engineered wood flooring costs less. If you opt to do the installation yourself, you can save some money in the short run, but there are LOTS of pitfalls, so buyer be warned. Installation cost is also dependent on the requirements and the condition of your home. Timely maintenance of your hardwood floor is necessary for you to avoid a complete overhaul of flooring in the future, which is quite expensive. Though costly, exotic hardwood flooring is a perfect choice due to its durability. It is even better if it is pre-finished in the factory.